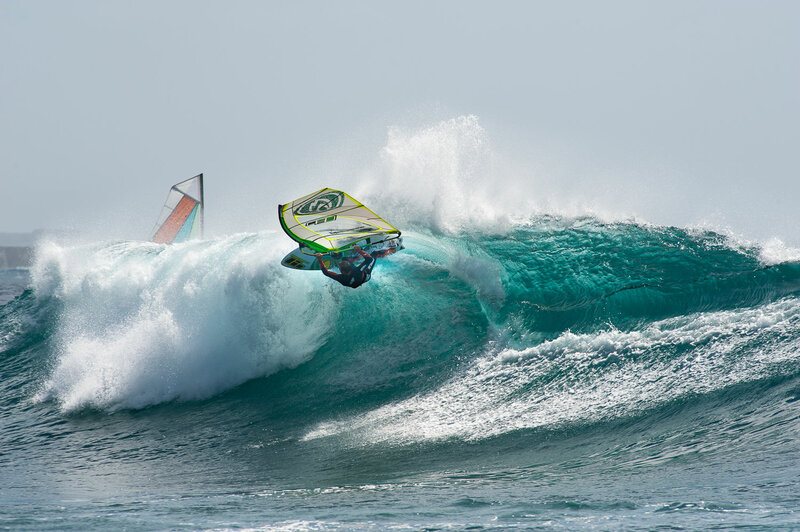 The 2016 Aloha Classic in Maui is around the corner and the crème de la crème of wave windsurfers meet at Hookipa to battle for the prestigious podium places of the Aloha Classic. But Europe offers some great waves, too. This spring Kauli Seadi and his wife travelled across Europe and they visited the west coast of the Mediterranean Island Sardinia and found amazing waves. Read our interview with a former wave world champion, who obviously got surprised by the potential of the European waves. 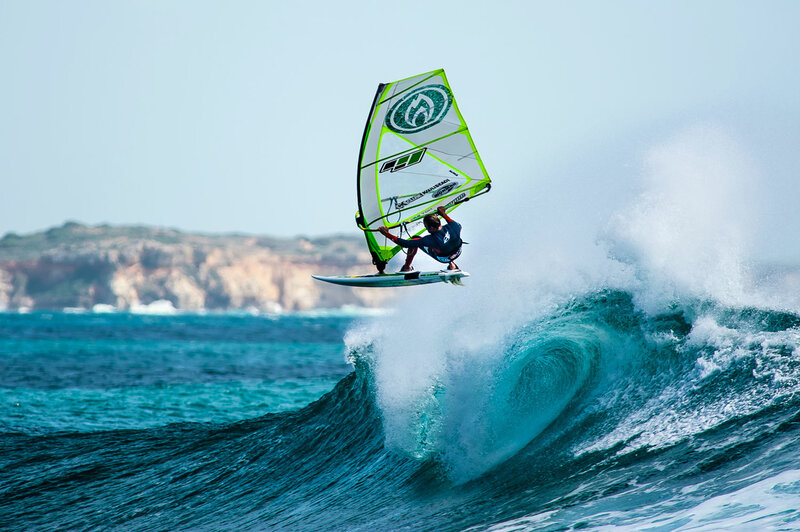 Continentseven: This spring you travelled across Europe and saw a lot of great windsurfing and surfing spots. What was your impression on Sardinia? 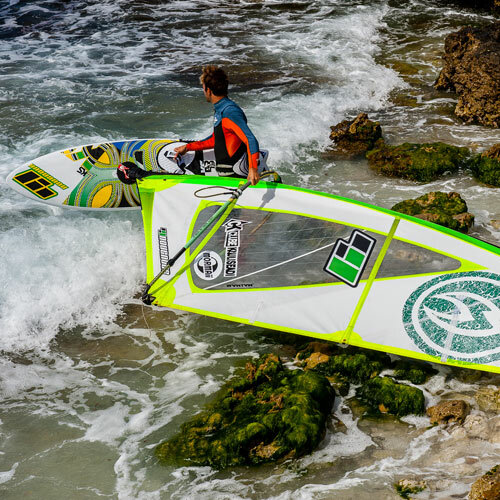 Kauli Seadi: Sardinia was a big surprise for me. I would have never imagined to ride big and perfect waves like that in the Mediterranean Sea. And I guess I was so lucky because we scored perfect down the line conditions with mast high sets and crystal clear water 3 times in 3 weeks. It felt really like being in Ponta Preta! Continentseven: Did you travel to Sardinia before or did you windsurf at any other European island in the Mediterranean sea in the past? Kauli Seadi: No it was my first time and it was an amazing experience, wish to go back there again. We did also visit Corsica, which is another incredible island. Continentseven: Did you expect these world class conditions in Europe? Kauli Seadi: To tell you the truth, NO! But we were in Europe for 3 months to film for our TV show in Brasil and I believe out of the 4 seasons we had filmed, this episode is the one with the most windsurf action. Europe really delivered some epic conditions , everywhere I went we scored good down the line wave riding. We started in Canary Islands, then Bercy, Italy, Scotland, France, Galicia and Portugal. It was amazing. All those places had world class conditions with some amazing down the line sessions. Continentseven: Would you recommend anyone from Maui to travel to Sardinia to ride waves in the Mediterranean Sea? Kauli Seadi: Sure it won’t be as consistent as the Pacific, but they will score some really epic staff if the Mistral wind shows up!! Continentseven: Are the conditions difficult? The launch can be quite rocky sometimes and there are intense currents? Kauli Seadi: The currents were not bad, but it is definitely rocky, but every good wave ride spot is good because of the rocks that maintain the perfection of the wave …. This is part of the game. Continentseven: What was your impression of the locals? Are they ripping? Continentseven: How did you and your wife like the Italian lifestyle? I guess Cesare Cantagalli was your guide most of the time. Kauli Seadi: It was an amazing experience, Cesare and his brother Sergio treated us like family and showed us all the really beautiful places on Sardinia. The island is big and there is a lot to see. We visited the Grotta di Netuno and amazing places like Stintino and so on…..
Continentseven: What kind of gear did you use most of the time in Sardinia (board and sail sizes)? 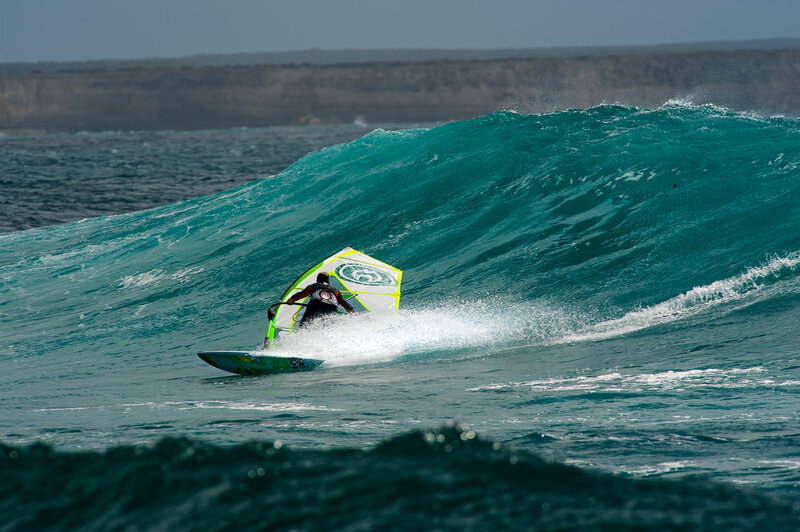 Kauli Seadi: I was riding mostly my 99 KS pro model 79 and 75 liters and my Hot Sails Maui KS3 in 4.6 and 4.9 and wetsuit Mormaii 3×2, but sometimes was chilly after a few hours out in the water! Continentseven: Still a lot to explore in Europe? Kauli Seadi: Sure there is still a lot to explore, especially in the northern countries, where it is a bit colder, but there are so many really great waves, which aren’t explored yet. One example is the island of Lewis in the north of Scotland. We got incredible waves there and normally nobody rides them! Continentseven: Can you remember any special moment you never will forget about that trip? Kauli Seadi: Yes, it was a session at Mini Capo. It was the kind of conditions I love, side off, logo high waves and some super glassy and fast waves to ride…. I entered the water this day at 7.00am when it was just getting day light. Continentseven: Can you imagine to stay in Sardinia for a longer period and if yes in which area? Kauli Seadi: Sure I can. I would stay in Capo Mannu. Continentseven: What should everyone bring to Sardinia when going for a windsurfing and surfing trip. Kauli Seadi: Some good spare gear, a bigger board and a sail for light wind days and a surf board for the surfing days after the wind stops, maybe a flat water SUP to paddle when there are no waves and no wind… Could be fun!! Continentseven: What are your upcoming travel missions. You discovered all the coast of Brazil with your catamaran. What are your winter plans? Kauli Seadi: Me and my wife did a great 3 months trip now from Ilhabela to Natal with our boat, and it was amazing to see how many pretty spots we have around the coast of Brazil, plus enjoying life on board is recharging !!! Our winter plans are to stay home in Sao Miguel do Gostoso and enjoy the season and work at the clubekauliseadi.com till March . Continentseven: Thanks, obrigado and wish you the best possible conditions for the upcoming competition!! !